As an astute reader, you may have noticed I missed a post last week. And although I pride myself on my consistency of sharing psychophilosophical knowledge, I also pride myself on enjoying a good vacation. While in San Diego to attend the Society for Personality and Social Psychology’s annual conference, I ate terrific Hispanic food, strolled in the California sun, and even got to kayak through a “mega-pod” of dolphins. And I went to some psych talks, too. However, one of the first things to greet in me in So Cal was the smell of a particular plant, one we had been talking about the weeks prior. After marijuana had secured negative public opinion in the 1930’s, soon thereafter, scientific reports supported the disapproval. However, if you’ve read any of the science about it today, you’d know marijuana was far from the violence-inducing drug it was once heralded as. But how could the “science” so utterly flip? Even practices so rooted in objectivity are done by biased, fallible creatures. And one study to show this empirically comes from Rosenthal and Fode in 1963. Actually “dull” and “bright” rodents. Though, have you ever heard the fan theory that Pinky was actually the brilliant one? These researchers tasked students with measuring how fast rats learned a maze. 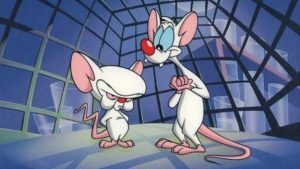 For half of the students, they were told their rats were rather dull, while the other half were told their rats were rather bright (when in fact, both sets of rats were equal in intelligence). As you may have guessed, those measuring the “dull” rats reported they learned the maze more slowly, while those measuring the “bright” rats reported faster rates. But how could something so clearly objective (i.e., when the rat completes the maze) be so susceptible to biased expectations? Take for example something as simple as when the rat completes the maze: do you stop the timer when one paw reaches the line, or when its whole body passes through? Or consider other ambiguities: if the rat pauses for a break, do you stop the timer or keep it counting? 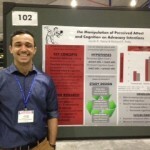 In regards to the marijuana research, the scientists’ expectations could have blinded them from possible confounds (i.e., other causes co-occurring with the use of marijuana) which accounted for the “violent tendencies,” or maybe the researchers subconsciously weighted certain “criminal acts” by marijuana users more heavily than those of non-users. Regardless of how the researchers reached their conclusions, the results were undisputed: not only did the public oppose the drug but so did the science. However, it was in 1936, with the production of the film “Reefer Madness” that truly riled up the nation. And by the following year, Congress had passed a statue that effectively criminalized the drug. In work I conducted for my Master’s thesis, we manipulated people’s attitudes toward recycling to either be based on emotion (e.g., thinking about pollution makes me angry; therefore, I should recycle) or based on cognition (e.g., needlessly wasting materials is harmful to the earth; therefore, I should recycle). 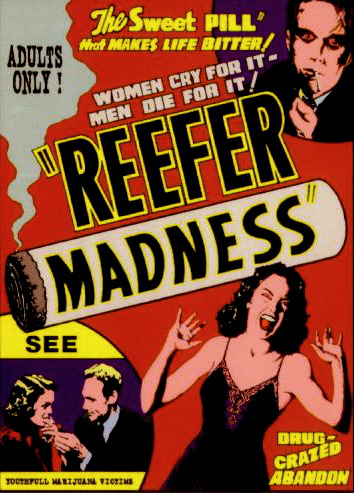 Afterward, we found that people who were made to believe their stance on recycling was based on emotion were much more likely to proactively (i.e., of their own accord and without prompting) try to convince people to recycle—exactly what “Reefer Madness” accomplished with marijuana by playing up people’s emotions. However, when such attitudes are based on emotion, if someone asks for your opinion on the topic (be it recycling or marijuana), without the cognitions to support your belief, you’re less likely to try to convince others. And only a few years after the outlawing of marijuana, when the emotion around this topic had somewhat subsided, further research contradicted all the prior science opposing the drug. Still, it wasn’t till the countercultural movement of the 60’s that marijuana regained acceptance. For even in the 1950’s, a first-offense marijuana possession carried a minimum sentence of 2 – 10 years with a fine up to $20,000. And although the harsh punishments for drug use (even marijuana) continued throughout the decades, more recently, consequences for its use have reduced. Now, there is more to be said on why this drug remained so criminalized for so long—and then how it became accepted once again—however, for now, I think we’ve discussed it enough. Hopefully, by shedding light on how our more “primal” psychological tendencies can lead to less optimum outcomes, we can learn and ensure we don’t make similar mistakes again. Rosenthal, R., & Fode, K. L. (1963). The effect of experimenter bias on the performance of the albino rat. Behavioral Science, 8(3), 183-189. Teeny, J. & Petty, R. (2015). Proactive and reactive advocacy: The attitudinal properties that lead to persuasion attempts. 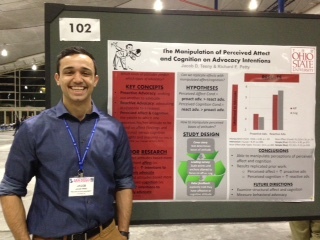 The Midwestern Psychological Association Conference, Chicago, IL.